For our parents gifts Tim and I split up the responsibility. I dealt with items for my parents and he did his, this way we were able to pick out gifts geared towards them and it felt a little more personal. I relied heavily on Amazon for my dads gifts. Are dads just notoriously difficult to shop for?! 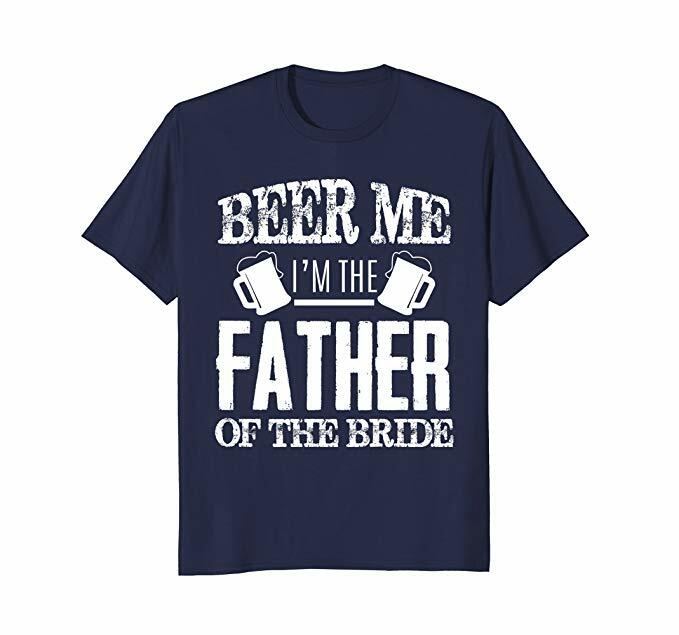 Most of the father of the bride gifts weren't really relevant. My dad never wears ties, he doesn't need cuff links or a cloth hankie, and he doesn't really need anything in particular. So I opted for a little funny and a little sweet. First up, a money clip. 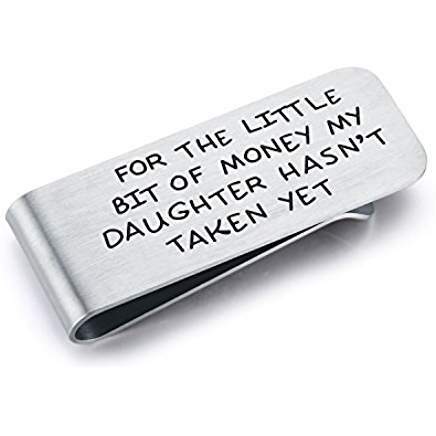 From Amazon, this money clip is on the funny side and I know he uses a money clip now so it's something he could potentially use. I thought this t-shirt was also pretty funny and also probably accurate since he was forced to run around doing my errands the morning of the wedding. 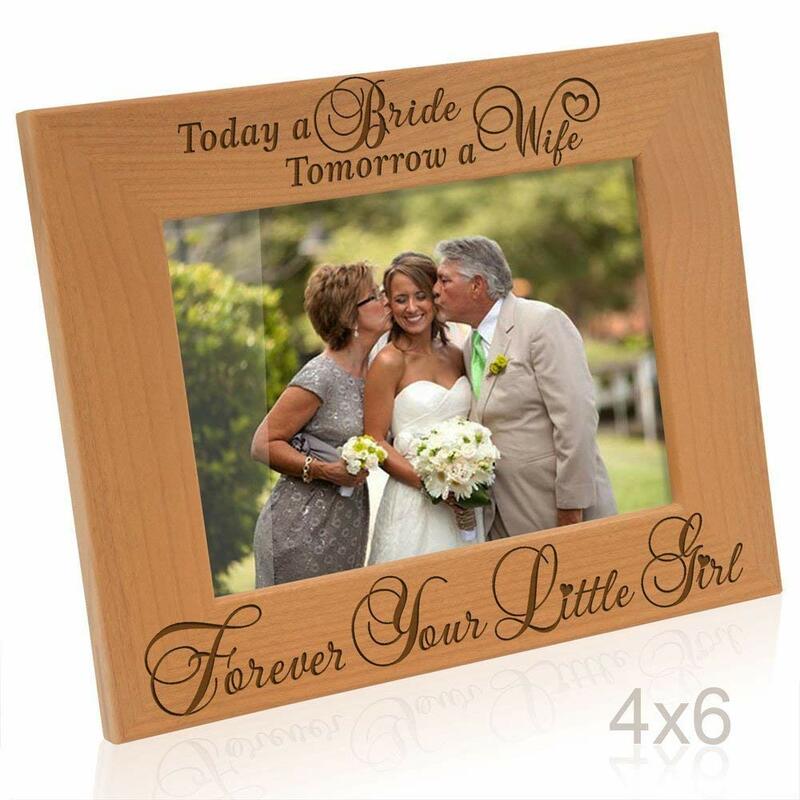 In here I put an old picture of my dad and I but figured they can change the picture to one of the three of us on my wedding day if they want. Obviously the names and date are changed on ours and it says Mom & Dad instead of Mother & Father. I bought frames from Kohl's to put them in and got them in a 5x7. I thought this was nice and sentimental for our parents. The first thing for my mom came from Yankee Candle. 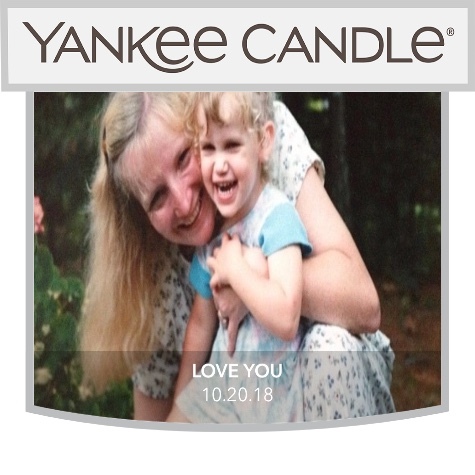 I made her a personalized Macintosh candle which you can see above. I love this picture of us from when I was little and thought it fit in nicely since I was giving my dad a frame with an old picture of us in it. This mug was found at the same time as Rachel's MOH mug and I thought it was a nice thing to get my mom that she could use in the future. 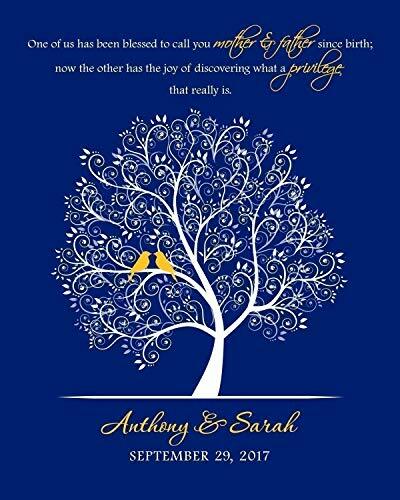 What did you give your parents for wedding gifts?